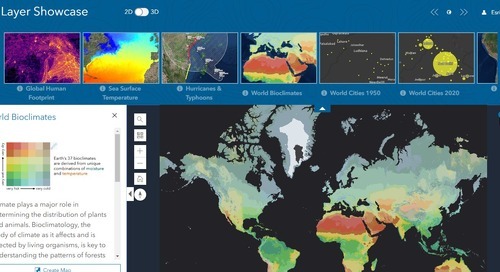 Explore our latest K-12 ArcGIS Online resources covering topics in math, Indigenous history and introductory GIS for cross-curricular learning. Integrate them into your teaching this year. This activity is an introduction to Indigenous issues and points of view surrounding land in Canada. It briefly compares traditional Indigenous views of the land with those of the European settlers, and the history of treaties in Canada. It also reviews the populations of the Indigenous People living in Canada as of 2016. This activity investigates the history of residential schools in Canada from a spatial perspective. This activity investigates the history of the creation of First Nations reserves, land claims, and Indian Land from a spatial perspective. This activity investigates the events of the Kanesatake Resistance/Oka Crisis with emphasis on the land use and spatial aspects of the case study. Web map: Percent Population of Indigenous People Living in Canada in 2016. This tutorial explores the basics of using ArcGIS Online through visuals and minimal text. This activity uses the Canadian Grand Prix Circuit Gilles Villeneuve to have students practice D=vT, measuring irregular shapes, and C=2πr. This activity uses an aerial photograph of the West Edmonton Mall, in Alberta, to allow students to determine the area and perimeter of the mall, and to consider the benefits and effects of other shape permutations. Try a math activity on Measuring Irregular Shapes, D=vT, & C=2πr: The Canadian Grand Prix Activity. This gallery includes "How To" story maps created by Esri. Learn how to create heat maps, change symbology, use bivariate maps and much more! Are you a K-12 teacher looking for an ArcGIS Online account to get started? You can request one online at k12.esri.ca/#access for yourself and your students. Discover how teachers across Canada are using GIS in their teaching and for student learning.